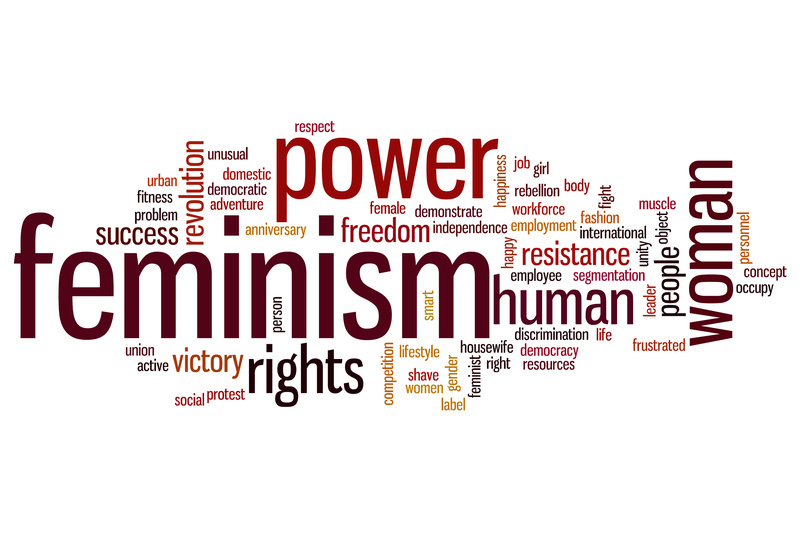 What Is Today’s Definition of a Feminist? Are You One? Is Your Partner? If asked, it’s likely that many women these days would say “yes” to the question: Are you a feminist? A lot of men might say the same thing. Would probably seem reasonable to a lot of people, no? A while back, news and gossip outlets were abuzz with the fact that Kaley Cuoco, the actress who plays Penny on The Big Bang Theory, said that she didn’t want to be labeled a feminist, saying that she likes serving her husband and being a good housewife to him. She later said that she appreciates all the women who have paved the way for women’s rights and that she was taken out of context (because people got crazy mad at her original comments). Trendsetting celebrity Kim Kardashian also said she does not want to be labeled as a feminist. Fans and contemporaries alike were outraged. And in response to this outrage, Kim released some quotes on the matter that basically said she just didn’t want to be “labeled.” Actress Shailene Woodley said about the same thing. She didn’t want to be labeled either. So this leaves us with the question: What’s so bad about being a feminist to these women? And you’ll see quite a few men hating on the term as well. When you see people shying away from this so-called label, you’ve got to wonder what exactly the huge deal is. If we agree with the definition above, feminism seems perfectly reasonable to most people. Now, this is an issue that can’t thoroughly be discussed in one article. There are so many aspects to the world of feminism and its history that you would need a series of books to even start to grasp everything. In other words, some women are afraid to say they’re feminists because they think that feminist = man hater. And let’s be honest: This idea makes sense! The right to be independent and work. The right to get an education. The right to … wear pants. These are all things that women had to work for. They weren’t simply give. Now … it’s a hope that we can all agree that the facts that women can vote, work, own property, get an education and wear pants are great things. But today, feminists want even more. And for most people who might say that they don’t want to be labeled as feminists, these are the issues. To understand this further, we need to discuss the 3 waves of feminism. If you wanted, you could take feminism back to Greece. But for the title question that were discussing, let’s start in the 1800s with first wave feminism. This was where the base progress began for feminism. Women aimed to attain political power, including the right to vote, work and be in charge of their family, yes even when a man wasn’t around. This wave was perfecting the first wave, but it focused on the workplace. These feminists wanted more rights for working women and single mothers, better reproductive rights and more respect all around in civil and social issues. Today, there are many different types of feminists: Radicals, Ecofeminists … But for the most part, these advocates are looking to continue equal rights for women. The biggest issues are social, economic and medical equality. For example, they want better reproductive rights, more equal pay and less body-shaming all around. A lot of third wave feminists are criticized for being anti-man, anti-makeup, anti-diet/perfect body image, anti-marriage, and the list goes on. So! Are You A Feminist? Deciding whether or not you’re a feminist and clearing the air about whether or not your partner is one can be a touchy subject. One good thing to remember is that you don’t have to register anywhere as a feminist! So don’t feel pressure to have one straight answer: All in or all out. You can say that yes you are a feminist and still have caveats about the movement. You’re allowed to take issue with certain aspects or certain leaders in the feminist arena who don’t uphold your own personal values. With that being said, do keep in mind that—just like Kaley, Kim and Shailene—if you say that you are not a feminist, people will take issue with this, and they might have some seriously valid ground to stand on. That’s because at its core (even if current third wave feminists are being way too off their rockers for your taste), feminism has undoubtedly achieved great things. I personally would have a knock down drag out fight with anyone who took issue with women having the right to vote. That’s something that needed to happen period. So in terms of your partner, if you have a man in your life who says he’s “not a feminist,” and you are, you might want to discuss some of these things with him. Many men in present day don’t realize how hard women have had it throughout history, or they don’t take it to heart anyway. Similarly, it’s important to realize that many feminists vie for other vital rights for women in other parts of the world today. Again, saying that you are a feminist doesn’t mean you are a man hater. It doesn’t mean you can’t enjoy wearing makeup or even that you are 100 percent in support of everything any given other feminist wants from the cause. The best way to know how you feel is to be educated about it. This is a start, but be sure and read other publications about the history of feminism and what feminists are doing today.